Location was great...in the country but only minutes from Inverness. Service was outstanding. Breakfast was top notch. For our family this was perfect, we stayed in a villa with amazing views over the mountains & golf course. It was great to have the pool & the house was well equipped for all we needed. Ideal for a family holiday. Where to find Boat of Garten hotels near an airport? 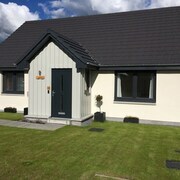 Where can I find hotels in Boat of Garten that are near tourist attractions? 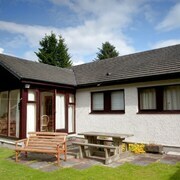 Boat of Garten has 13 Expedia hotel and apartment options. Around 13 hotels and apartments are within a 0.1-kilometre (0.06-mile) radius of Boat of Garten's center. 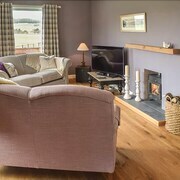 There are a number hotels that are within a short stroll from Boat of Garten's city heart, including the Dalrachney Lodge Hotel and The Boat Hotel. 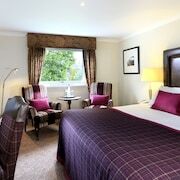 The Hilton Coylumbridge is 8 kilometres (5 miles) from the center of Boat of Garten. Another alternative is the The Cross at Kingussie, which is located 25 kilometres (15 miles) away. 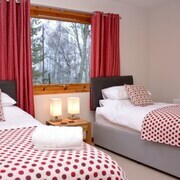 If you'd prefer, you could book a bed at the The Craiglynne Hotel or the Macdonald Aviemore Highland Hotel. 35 kilometres (23 miles) from Boat of Garten is Inverness, where you can enjoy Culloden Battlefield and Inverness Castle. 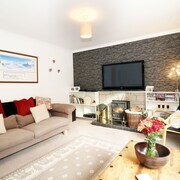 Inverness accommodation options are the Rocpool Reserve Hotel & Chez Roux Restaurant and The Glen Mhor Apartments. 17 kilometres (11 miles) to the northeast of Boat of Garten, is Grantown-on-Spey, home to the Seafield Lodge Hotel and Rosehall Guest House. The Lochindorb Castle and Grantown Museum are some of the most popular attractions to experience when you're in Grantown-on-Spey. Just because you're traveling, doesn't mean you can't indulge in your love of sporting events. You'll find Tannadice Park 100 kilometres (62 miles) to the southeast of Boat of Garten. Book accommodation nearby to the action at the Westport Serviced Apartments or the Apex City Quay Hotel & Spa. Inverness Airport is a logical airport for flying in and out of Boat of Garten. It is 35 kilometres (23 miles) away. If you choose to stay nearby, try the Dolphin Bay Suites or Inchrye Bed & Breakfast. 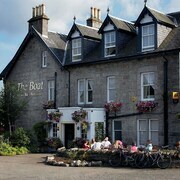 What are the most popular Boat of Garten hotels? Are there hotels in other cities near Boat of Garten? 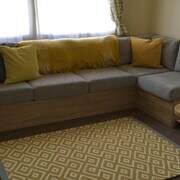 What other types of accommodations are available in Boat of Garten? Explore Boat of Garten with Expedia.ca’s Travel Guides to find the best flights, cars, holiday packages and more!